In recent years, there have been considerable developments in techniques for the investigation and utilisation of enzymes. 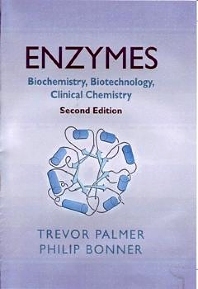 With the assistance of a co-author, this popular student textbook has been updated to include techniques such as membrane chromatography, aqueous phase partitioning, engineering recombinant proteins for purification and due to the rapid advances in bioinformatics/proteomics, a discussion of the analysis of complex protein mixtures by 2D-electrophoresis and RPHPLC prior to sequencing by mass spectroscopy. Written with the student firmly in mind, no previous knowledge of biochemistry, and little of chemistry, is assumed. It is intended to provide an introduction to enzymology, and a balanced account of all the various theoretical and applied aspects of the subject which are likely to be included in a course.